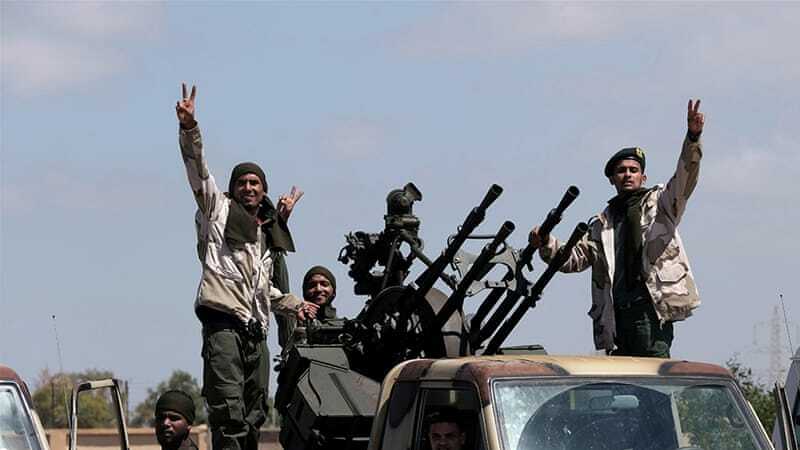 MANILA -- The Department of Foreign Affairs (DFA) has deployed two augmentation teams to Libya to beef up the Philippine Embassy's operations as fighting near Tripoli intensified. "We still have not declared Level IV. The deployment of the augmentation teams is in anticipation of a possible surge in the number of Filipinos who may want to avail themselves of the repatriation program once fighting enters the capital itself," Chargé d’Affaires Elmer Cato said in a text message. According to the envoy, fighting is still confined to the capital's outskirts as of Saturday, noting that the combatants have been fielding heavy ground-based weapons as well as aerial bombardment. While the conflict has yet to enter Tripoli, Cato said the Embassy remains proactive and aggressive in calling upon Filipinos in the area to "seriously consider" the government's repatriation offer while it still can. Based from the United Nation's Office for the Coordination of Humanitarian Affairs (UN OCHA) data, significant numbers of civilians remain stuck in these areas and are unable to move to comparatively safer areas.